In the early 1980s, after moving from Poland, I joined the Department of Physics at the University of Calgary, first as a graduate student in theoretical physics, and later as a researcher of non-linear phenomena in astrophysics. During my graduate studies, I was fortunate to attend lectures on chaos theory at the Santa Fe Institute’s Nonlinear Summer School. Listening to these lectures, it occurred to me that the core ideas of chaos theory—to be open and sensitive, to accept unpredictability, and to favor instability over equilibrium—could be applied to psychology and education. It was clear to me that Prigogine’s dissipative structures and Dabrowski’s theory of positive disintegration were referring to essentially the same process. As I read Dabrowski’s book Mental Growth through Positive Disintegration, I experienced a profound sense of resonance. Moreover, as I immersed myself in the works of Dabrowski, I was mesmerized by the beautiful parallels between the theory of positive disintegration and chaos theory. It was clear to me that the dissipative structures of Nobel Prize winning physical chemist Ilya Prigogine and the theory of positive disintegration were referring to essentially the same process. One was simply focusing on the physical world, while the other was looking inside the human psyche. Though I think the idea of chaos theory will be accessible to anyone interested in Dabrowski, I know most of you will not be familiar with the main concepts of chaos theory. Therefore, let me take a moment to introduce some key concepts: sensitivity to initial conditions, positive and negative feedback, bifurcation points, self-organization, dissipative structures, and attractors. Chaos theory focuses on the behavior of open, complex, and dynamic systems that constantly interact with and adjust to their environments. They are always changing, growing, learning, and evolving. Chaotic systems exhibit an extreme sensitivity to initial conditions. You might be familiar with this phenomenon under its popular name, the butterfly effect. Slight differences in the starting points of such systems make very large differences in their outcomes. Such systems are always on the move, changed by each and every stimulus, never to revert to their original states. One reason that chaotic systems are so sensitive to their initial conditions is that they are subject to feedback, which can be either positive or negative. Positive feedback pushes the system to change. More change leads to its exponential growth, whereas less change leads it to decline. Sometimes, if the positive feedback is strong enough, it drives a system to explode—to spiral out of control or totally block all its activities. In psychological systems, emotions play this dynamic role. They act as positive feedback loops by amplifying cognitive activities such as increasing our awareness, signalizing approaches to our problems, and making us more perceptive and sensitive to the external world. Negative feedback keeps things in check and regulates the system’s stability. In psychological systems, cognition plays the role of negative feedback by controlling and regulating emotional processes. One of the most important discoveries of chaos theory has been that positive feedback can cause chaotic behavior and disrupt an orderly system, while negative feedback can grow inside a chaotic system, suddenly organizing it and making it stable. Self-organization is a scientific term for the spontaneous emergence of new patterns in systems. Ilya Prigogine, a Belgian physical chemist working in the mid-20th century, studied self-organization in complex physical systems. He introduced the concept of dissipative structures, which must interact with their environment continually, maintaining a flow of energy in and out of the system. Think for example of a whirlpool or a hurricane, which require continuous flows of matter and energy to maintain themselves. The same can be said for living organisms. Prigogine won the Nobel Prize in Chemistry 1977 “for his contribution to non-equilibrium thermodynamics, particularly the theory of dissipative structures.”3 Prigogine stressed the importance of openness and strong thermal instability of the system in the process of the formation of dissipative structures. As Prigogine wrote, “At equilibrium molecules behave as essentially independent entities; they ignore one another. However, non-equilibrium wakes them up and introduces a coherence quite foreign to equilibrium. This is the concept of ‘order through fluctuations. '”4 In a state of non-equilibrium, the rapid flow of energy links its components into more ordered and complex patterns. Complexity can be characterized by differentiation and integration. Differentiation refers to the variety of components that behave in different ways, while integration refers to the links between a system’s components that lead to order. Complexity arises when both differentiation and integration are present. It can be said that complexity is situated between order and disorder, where the system finds itself at the “edge of chaos.” In this state, the system is displaying intelligent behavior in adapting to environment stimuli. Are the connections between chaos theory and the theory of positive disintegration as obvious to you as they are to me? In case they are not, let me explain. Moreover, when I was studying the five levels of positive disintegration, I saw in my mind different attractors. In chaos theory, an attractor is a set of mathematical values toward which a system tends to evolve, for a wide variety of starting conditions of the system. They are useful for characterizing the system’s behavior, and there are three types: the point attractor, the periodic attractor, and the non-periodic, chaotic attractor.8 A single system can be characterized by different attractors at different times in its development. 1 Kelso, J.A. (1995). Dynamic patterns, the self-organization of brain and behavior. Cambridge, MA: MIT Press. 2 Prigogine, I. & Stengers, I. (1984). Order out of chaos. Toronto, New York, London, Sydney: Bantam Books. 4 Prigogine, I. & Stengers, I. (1984). Order out of chaos. Toronto, New York, London, Sydney: Bantam Book, pp. 180 -181. 5 Dąbrowski, K. (1996). Multilevelness of emotional and instinctive functions. Lublin: Towarzystwo Naukowe Katolickiego Uniwersytetu Lubelskiego. (p.11). 6 Prigogine, I. & Stengers, I. (1984). Order out of chaos. Toronto, New York, London, Sydney: Bantam Books. 7 Thelen, E. (1992). Development as a dynamic system. Current Directions in Psychological Science, 1, 189-193. 8 Abraham, R.H., & Shaw, C.D. (1984). Dynamics- the geometry of behavior. Santa Cruz, CA: Aerial Press. 9 Van Geert, P. (2009). Nonlinear complex dynamical systems in developmental psychology. In S.J. Guastello, M. Koopman, & D. Pincus (Eds. ), Chaos and complexity in psychology. The theory of nonlinear dynamical systems, (pp. 242-2810. New York: Cambridge University Press. 11 Prigogine, I. (1997). The end of certainty. Time, chaos and the new laws of nature. New York, London, Toronto, Sydney, Singapore: The Free Press, p. 65. 12 Dąbrowski, K. (1996). Multilevelness of emotional and instinctive functions. Lublin: Towarzystwo Naukowe Katolickiego Uniwersytetu Lubelskiego. (p.11). Krystyna C. Laycraft holds a M.Sc. in theoretical physics from the University of Warsaw and a Ph.D. in education from the University of Calgary. 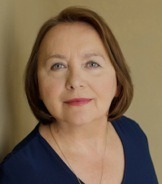 She is a certified coach practitioner and professional member of the Canadian Counselling and Psychotherapy Association. Krystyna offers assistance to troubled and gifted adolescents and young adults and helps them to achieve their potential. She delivers seminars and workshops that include topics related to their psychological development.